My Dad Is A Veteran. Are There Benefits To Help Pay For Assisted Living? Our Veterans sacrificed tremendously and deserve our respect and appreciation for their contributions to our country. As our Veterans get older and consider moving into an assisted living community, it’s important to be aware of the benefits that they have earned thru their service that can help cover the cost of this care. 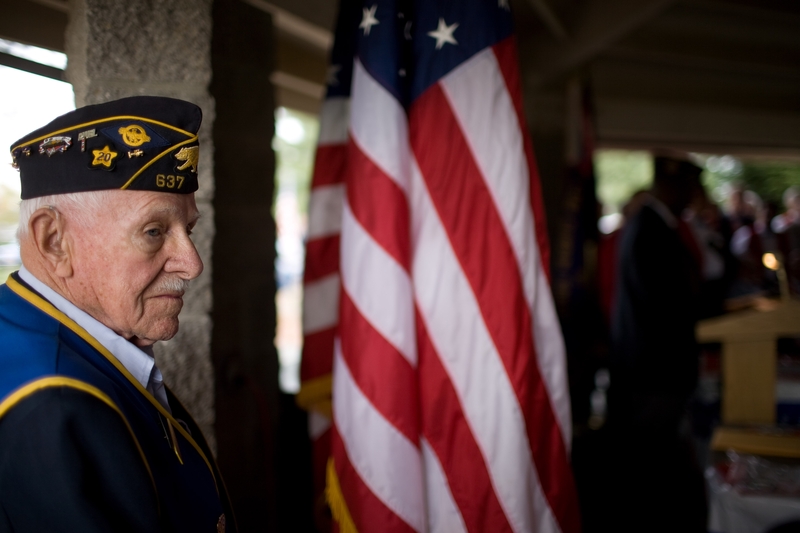 The Veterans Administration “Improved Pension Benefit”, commonly referred to as the Aid and Attendance benefit, is a financial benefit that is specifically designed to help Veterans cover the cost of assisted living and memory care. A Veteran is eligible for the benefit if they have 90 days active duty service, at least one day of which is during a defined war time. This benefit is also available to the spouse or widow of a Veteran. The war time periods for eligibility are World War II, Korean War, Vietnam War, and Persian Gulf War. In order to apply, the Veteran’ service discharge must have been better than “dishonorable”. Veterans will also need a copy of their service discharge paperwork (form DD214), and if the application is being made by a spouse or widow of a Veteran, a copy of the marriage license must be provided. Veterans should see their local VA Representative to apply for this program. The financial benefit for this program ranges from $2,054 monthly for a Veteran and spouse to $1,113 for the widow of an eligible Veteran. The benefit can be used to help cover the cost of assisted living, memory care and skilled nursing care. For Veteran’s considering moving into an assisted living community, this benefit may make the transition easier from a financial standpoint. More importantly, this is a benefit that the Veteran earned thru their service to our country during a time of war. Check out www.GreatOaksManagement.com for more information.